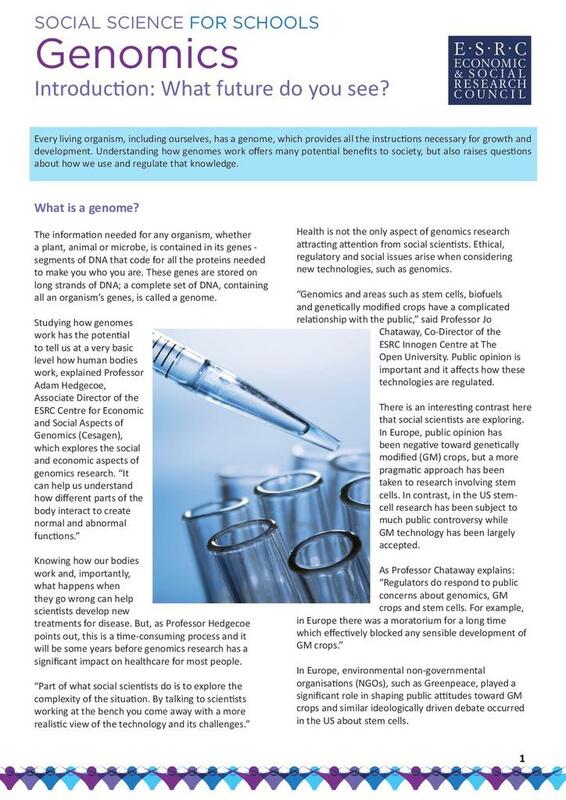 From the Economic and Social Research Council (ERSC), this briefing explores how understanding genomics may offer potential benefits to society, but also looks at how we might use and regulate that knowledge. The resource describes the possible applications of synthetic biology. The emerging personal genomics industry is discussed and how restrictive regulation can hamper innovation in areas like biofuel production. Finally, a series of thought provoking questions are suggested which can be used with students.